Sarah Campbell offers games, neuroses, and how it feels to be constantly mistaken for a 12-year-old boy. She kicks off with a round of ‘the Fun Game’, inviting audience members to anonymously write their definitions of fun on slips of paper, which she follows up by reading a random selection and attempting to deduce who they belong to – slightly discomforting for the author, great fun for the rest of the audience! 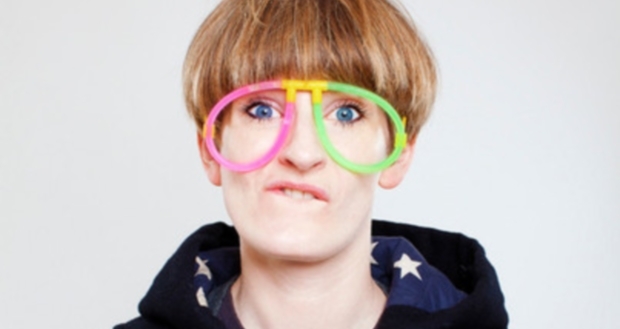 Fun is at the centre of Campbell’s show, but her neuroticisms play an equally important part in her brand of observational comedy, as she unpacks the startling emotional contents of her brain. She shares with the audience her anxieties about activities that are supposed to be ‘fun’ (pointing out that yes, having a facial really is just paying someone else to wash your face), and offers up her alternative take on activities others would expect to be mundane at best. Her forays into the realms of Trip Advisor reviews are particularly entertaining. Campbell makes much of the way she is repeatedly mistaken for a 12-year-old boy, a description that could apply just as much to her joyous disregard for social conventions as to her physical appearance. Sarah Campbell: Isn’t It Fun??? runs as part of the PBH Free Fringe at the Cabaret Voltaire, Edinburgh until 24 August 2013.